With beautiful tree-lined streets, a bustling culture scene, and a friendly neighborhood feel, it’s no wonder why Chesterfield real estate is some of the most desirable areas in St. Louis County. Unlike area’s closer to the big city, Chesterfield maintains a relaxed, suburban feel but the same great access to the everyday amenities you know and love. Nearly every neighborhood is marked with a canopy of large trees and a fulfilling sense of warmth and character in every quiet cul-de-sac. The selection of Chesterfield homes for sale includes everything from budget-friendly bungalows to upgraded move-up homes and multi-million dollar estates. Traditional-style architectural themes run deep in this area, especially in newer subdivisions, but there is the occasional Colonial, Tudor, and Craftsman-style as well. Many of the homes in Chesterfield are surrounded by beautiful woodlands, particularly in the western areas. Not quite ready for the commitment of a house? There are a number of condos for sale in Chesterfield that require little or no maintenance and are just a short walk from the area’s shopping plaza’s and major transit hubs. There are also several new construction homes for sale in Chesterfield as well, many of which will include a builder’s warranty and the peace of mind that comes with being the first owner of a home. If security is important to you, you’ll be delighted to know that there are several gated communities here as well. While this benefit is usually reserved for the more upscale communities, it’s certainly not exclusive. Housing values in Chesterfield were stable for a long time, but they’ve recently grown in value since the start of 2016. Currently, the median price for a home is around the mid-$300,000, but homes can range in price from the low $100,000s to over $3 million. Whether you’re looking for a home for your growing family or a relaxing space for your golden years, the Chesterfield real estate market has it all. Homes in Chesterfield are perfectly close to great schools, every retail offerings, and flavors from around the world. Residents can enjoy the relaxed, rural atmosphere they want without giving up the convenience of urban amenities, and above all, the great careers found in St. Louis. Enjoy live music at Chesterfield’s outdoor amphitheater, or take the family to the Chesterfield Family Aquatic Center for some great family fun. Craving a new wardrobe? The shops at Chesterfield Mall and Chesterfield Commons have you covered, or you can score a great deal at the factory outlet stores on the other side of Highway 61. From sports and recreation to performing arts and fun tourist attractions, there’s so much to see and do near Chesterfield homes! Want to learn more about Chesterfield homes for sale? 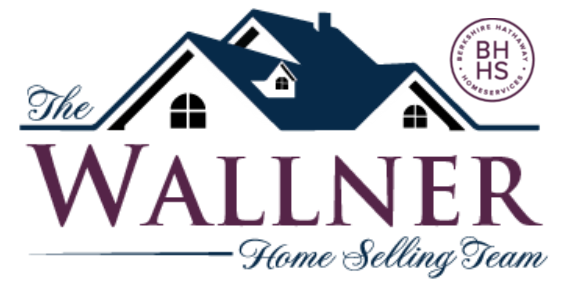 Get in touch with the experts at The Wallner Team today! Send them a message or give them a call at 314.810.7653. Whether you’re buying or selling, The Wallner Team can help you navigate the Chesterfield real estate market.